2017 was an eventful and artful year. At the beginning of the year I curated the environmental art projects I do each year in Taiwan. 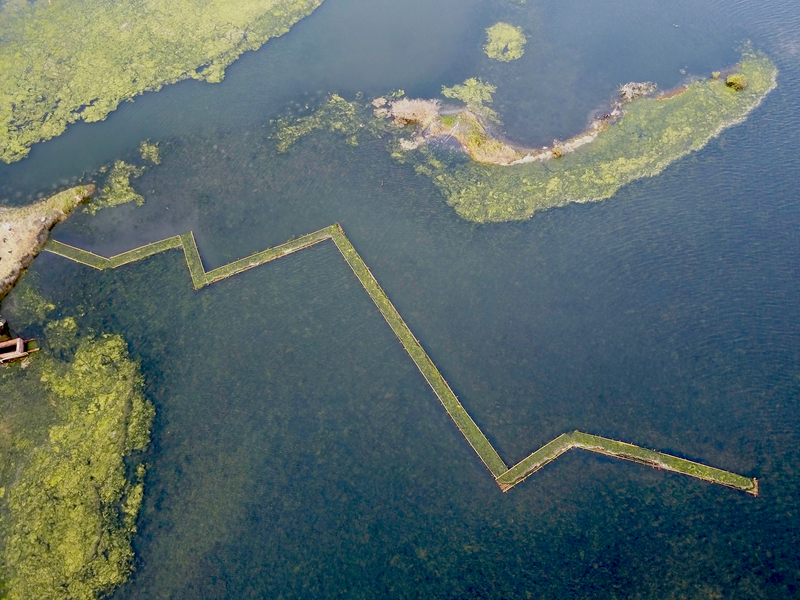 Cheng Long Wetlands International Environmental Art Project took place during April and May in Yunlin County, Taiwan. The National Museum of Marine Science International Environmental Art Project in Keelung, Taiwan, was held from June to September 2017. 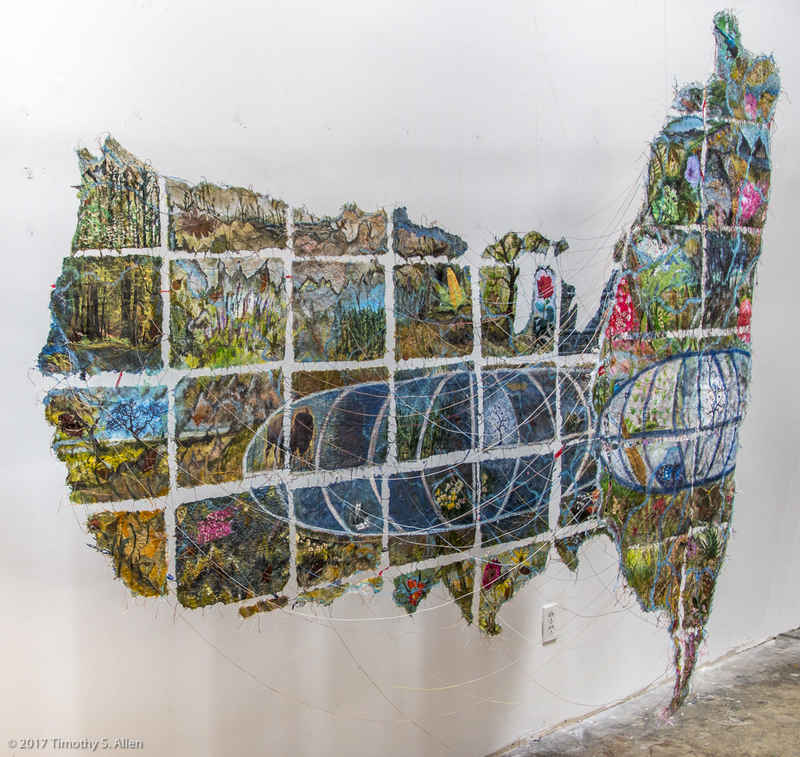 In April and May I created an artwork to commemorate the 60th anniversary of the Fulbright Foundation in Taiwan, that was installed at the Foundation’s Taipei headquarters in June. 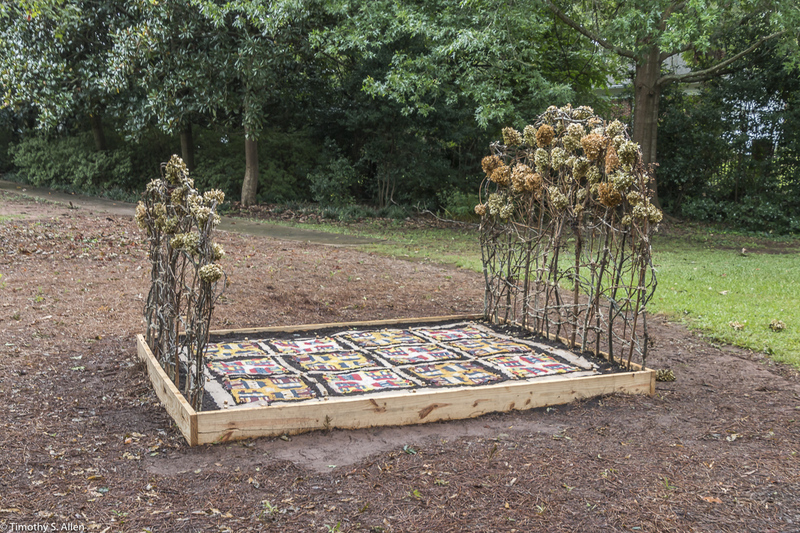 In August 2017 I was an artist-in- residence in Newnan, GA with an award from Newnan Art Rez to create an environmental artwork in a city park. In October I opened my new art studio at Studio Santa Rosa, Santa Rosa, CA, after moving my art storage from New York State to Santa Rosa. 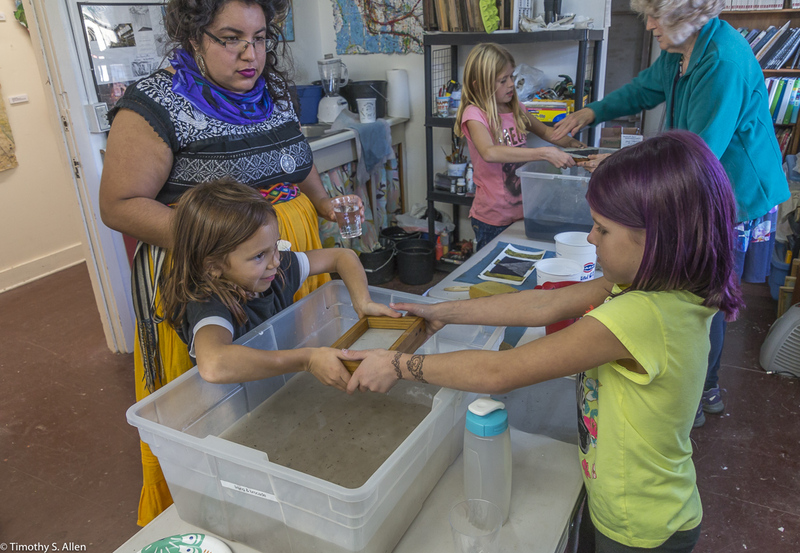 I participated in an Open Studio the first weekend in November and had visitors making handmade paper. In December I have been making a new handmade paper quilt with the “flying geese” pattern that has seeds for wildflowers in the pulp. 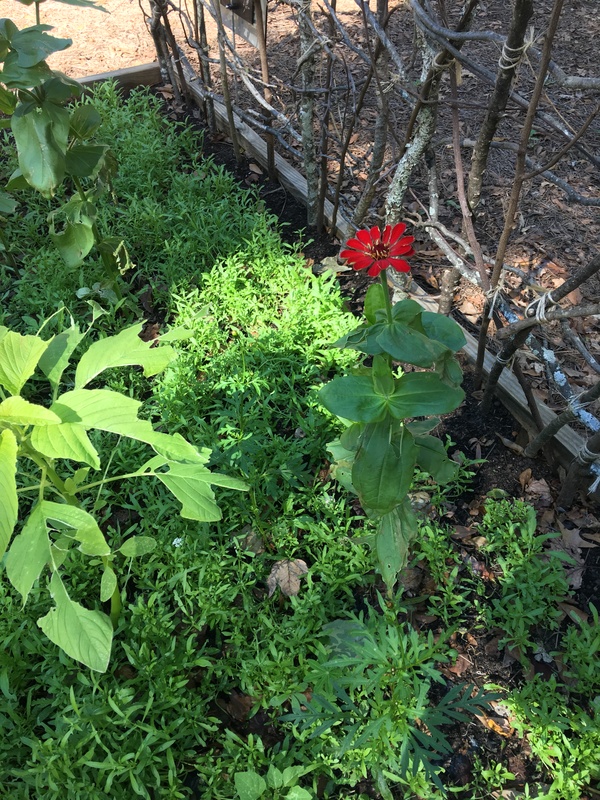 I hope to plant this quilt and make another “flower bed” in early 2018 to memorialize the terrible October wildfires that destroyed so many homes and businesses in Santa Rosa. The transformation of the handmade paper quilt into a bed of blooming wildflowers reminds us of the regenerative power of nature and creates an evolving living artwork. Thank you for your friendship and support this year. May all of you have a happy, healthy and peaceful 2018!